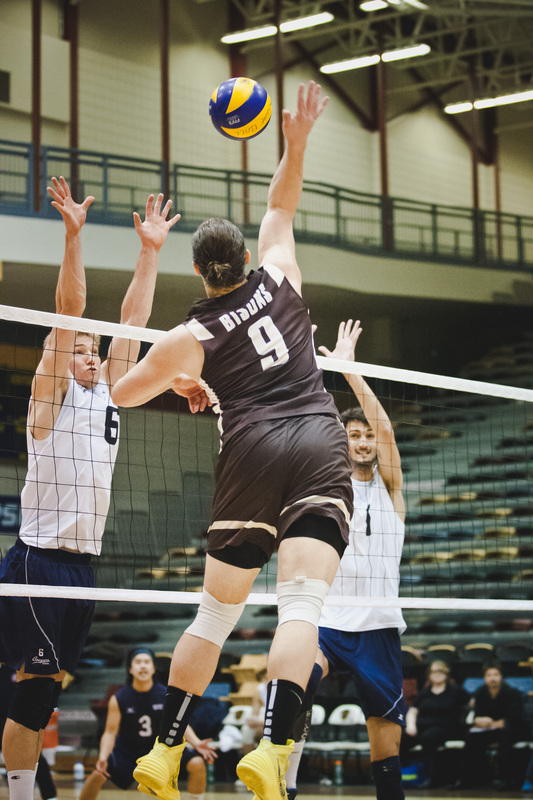 At home this weekend, the Bison men’s volleyball team dropped two matches to the Mount Royal Cougars. On Friday, the Bisons lost 3-1 (19-25, 25-18, 25-21, 25-21). Devren Dear led all players with 22 kills in the loss. The Bisons were swept the following evening 3-0 (25-22, 25-19, 25-15). The losses drop Manitoba’s record to 8-10, leaving the Bisons sitting in tenth place – one win back from a three-way tie for the seventh and final Canada West playoff spot. The Bisons will travel to face Regina on Jan. 24 and 25. The Bison men’s hockey team suffered two tough losses on the road against the Calgary Dinos. On Jan. 17, the Bisons allowed the Dinos to jump out to a 5-0 lead in the first period, but valiantly fought back to within one goal late in the third period. Ian Duval had three points on the night, including two power play goals. Unfortunately Duval and the Bisons could not find the game-tying goal before time ran out on a 5-4 loss. The following night was a more balanced affair. The Bisons and Dinos exchanged the lead three times before heading into overtime tied 3-3. Calgary’s Chris Collins potted the game-winner in the second overtime period . Manitoba is on the bye this upcoming weekend, but will return to action at home on Jan. 31 against Regina. The men’s basketball team broke their 10-game losing streak against the Brandon Bobcats this weekend with a 68-51 victory on Jan. 18. After dropping the first of the weekend’s two games 89-73, the Bisons were led by Andre Arruda’s 22 points in just their second victory of the 2013-14 season. The Bisons are now 2-12 on the year and in last place in the Canada West prairie division. The Bison women’s team dropped both of their games against Brandon 70-51 on Jan. 17, and 57-49 on Jan. 18. Like their male counterparts, they are last in their division. The basketball teams travel out west this weekend to challenge Thompson Rivers University on Jan. 24 and UBC Okanagan on Jan. 25.